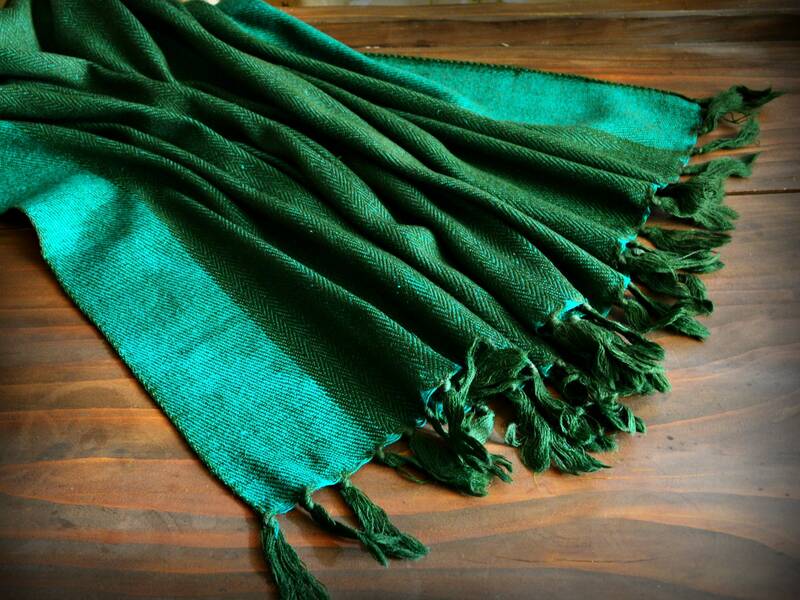 Feel the luxury of silk combined with the warmth and coziness of wool in this beautiful, reversible (double-sided) shawl in beautiful shades of green: lighter emerald green and darker - deep, warm, forest green. The shawl is a perfect addition to your historical costume for sun, cold and wind protection for Vendel and Viking period reenactors. You can wrap it around your neck, shoulders or create a head covering of it. You can wear it long or double fold it and have two warm layers to cover your arms. 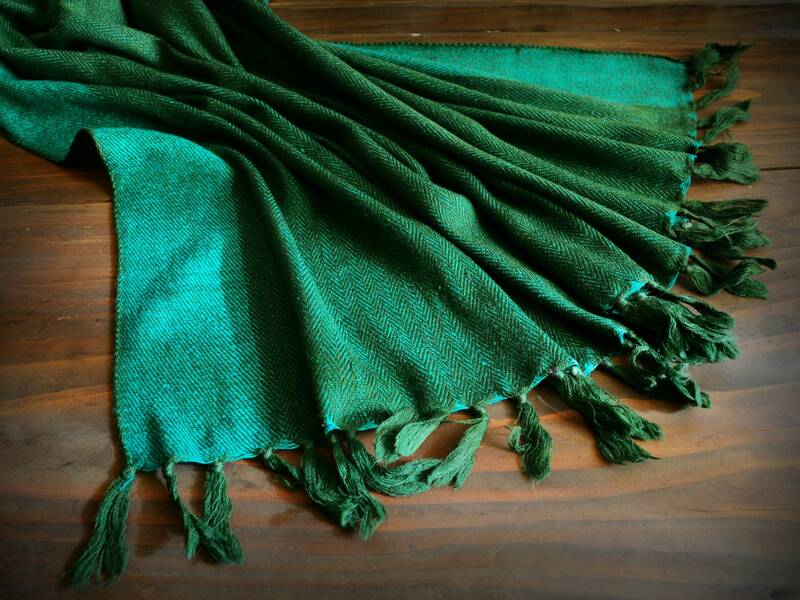 The large wrap was handwoven of 100% natural fibers: silk for warp and wool for weft. Its design is unique and eye-catching: it's reversible (double-sided), which means the colors are different depending on the side. One side is lighter, the other is darker. Herringbone twill weave was used for the center, diagonal twill at the borders. This shawl is a perfect addition to your historical costume for sun, cold and wind protection for Vendel and Viking period reenactors. You can wrap it around your neck, shoulders or create a head covering of it. You can wear it long or double fold it and have two warm layers to cover your arms. 246 cm long with fringes. 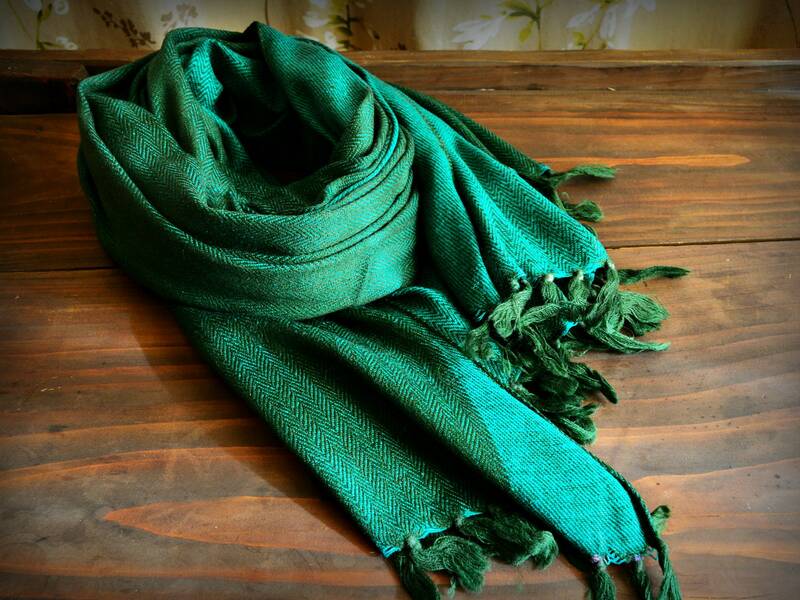 Handwoven of 100% natural silk and wool yarns. (60% silk, 40% wool). Herringbone twill weave in the center, diagonal twill at the borders. 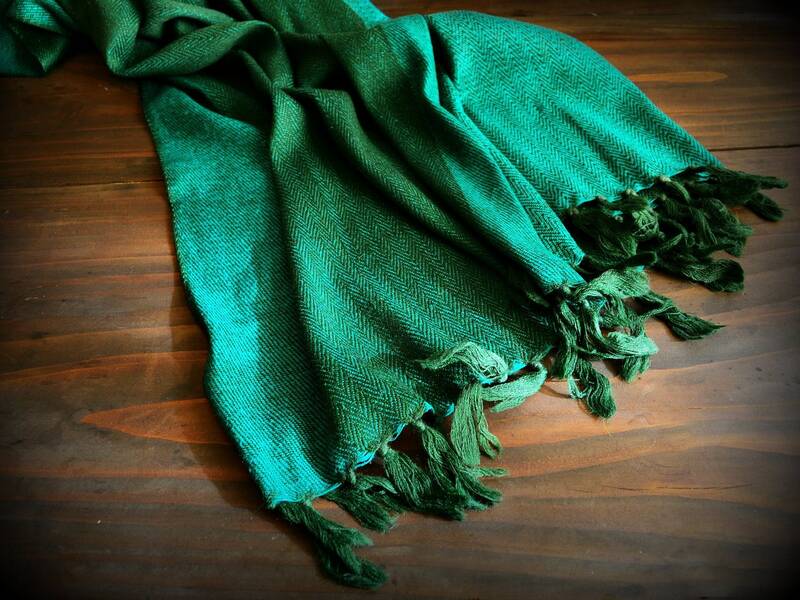 Due to the shawl is handwoven there may be some irregularity in weaving. Please hand wash in cold water and dry it in a shadow. This was a present for a friend their response was; "Awesome'"